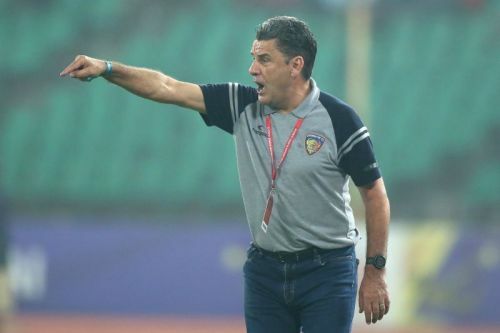 Reigning Indian Super League (ISL) champions Chennaiyin FC are all set to make their debut in Asia through the 2019 AFC Cup, beginning with the play-off round in March next year. They will face the winners of the preliminary round clash between Bhutan’s Transport United and Sri Lanka’s Colombo SC over two legs for a place in the group stage, it was announced at the official 2019 AFC Cup draw in Kuala Lumpur on Thursday. This marks a historic moment in the club's history, as Chennaiyin become the first ISL franchise to qualify for the competition, progressing to the play-off stage in the first attempt after AFC announced a slot for ISL winners in 2017. CFC are among two of the most newly formed clubs participating in the 2019 AFC Cup, having been formed only a little more than four years back in August 2014. CFC will play either Transport United or Colombo SC on March 6 away from home before hosting the second leg a week later on March 13. And if they overcome that challenge, CFC progress to Group E, which will comprise four clubs from South Asia. If Chennaiyin FC progress to the group stage, they will be up against current I-League champions Minerva Punjab and representatives from Bangladesh and Nepal. Minerva will feature only if they fail to progress to the AFC Champions League group stage. And the identity of clubs from Bangladesh and Nepal will be known closer to the group stage. Minerva Punjab will contest against Iranian club Saipa as part of the qualifying round for the group stages of the AFC Champions League. Should they win their fixture, they will then face-off against Qatar club Al Rayyan. A victory for the I-League team in both encounters will see them qualify for the AFC Champions League, leaving Group E of the AFC Cup with only three teams. About Chennaiyin FC: Chennaiyin FC is an Indian Super League franchise based in Chennai and co-owned by Mrs Vita Dani, Mr Abhishek Bachchan and Mr MS Dhoni. Chennaiyin FC has won the ISL in 2015 and 2017-18.